‘Morality’ is a word often referred to, but commonly misused and/or misunderstood. Indeed, it is seen by some as a concept that can be explained and classified; by others as a set of personal beliefs – whether spiritually-based or not – that define an individual’s understanding of the world. As such, can morality be our own construct, or is it something that we partially acquire from the people and religious institutions we trust? The Church of Jesus Christ of Latter-day Saints, commonly known as the Mormon Church, is like most other Christian religions, basing its teaching on those of Jesus Christ and his father. Although, it believes that what other Christian sects refer to as ‘The Trinity’ is actually three separate beings; united in purpose rather than actually being part of one whole. 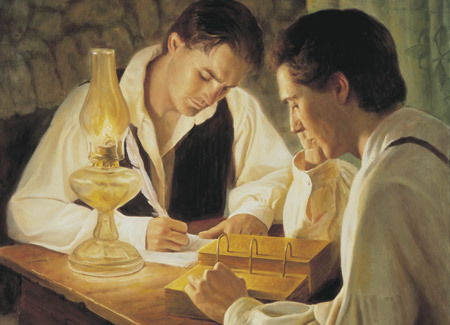 Its followers also believe that the ecclesiastical power and authority to act in the name of God was lost from the Earth when Christ’s apostles were killed, necessitating a Restoration, which occurred in the early 19th Century through a vision of a teenage boy, Joseph Smith. He was believed to be a modern-day prophet to help guide people to the correct moral path. Morality in Mormonism is something essentially taught and understood through the common belief-system shared among its followers. Though the emphasis is placed on a personal connection with God, much of Mormon culture revolves around the family, the community and a shared strength that many rely on – when their personal faith is found to be lacking – to give them hope, irrespective of whether the dictates of the church are true, or not. Young children are instructed from birth, converts taught through discussions and all are baptised and welcomed as members of the church and followers of Christ, should they so choose it. 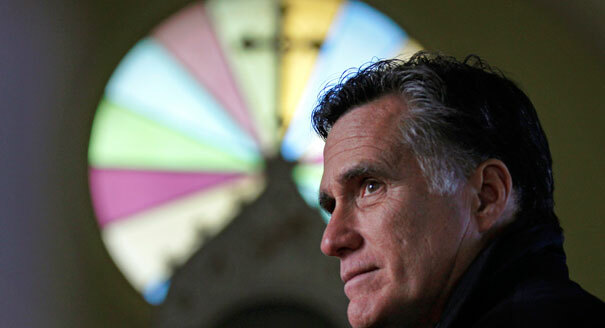 US presidential candidate Mitt Romney bases his morals on the Mormon teachings. But is there a reason he keeps it away from his campaign? ‘Choice’ is paramount in all of this. Indeed, a common phrase you will hear among Mormons is, ‘what would Jesus do?’ as a means of redirecting an individual’s own conduct to coincide with the group’s moral viewpoint. One of the criticisms of Mormonism and, indeed, religious institutions as a whole, is that it subtlety imposes what it dictates by applying emotional pressure on people in form to fit into the collective. The common sentiment continually repeated within Mormon meetings is that we are the subject and result of our own ‘choices’ and essentially slaves to the consequences that follow – the latter being something we cannot influence. In fact, in addition to the ten commandments, they follow the Word of Wisdom which is a set of guidelines which promote health and avoid being under the influence of drugs, alcohol and anything that could affect your ability to make a clear and proper decision and lead to negative consequences. Mormons are told that adherence to the rules/advice/commandment of the church frees them from the burden of making ill-informed choices, making them more free from suffering and pain. I come back to one of my initial questions: Is one person’s morality the same as someone else’s? Should one person’s be used as a framework for a common, prescribed morality that provides only a single means by which an individual can be truly moral? Are we to be puppets who blindly follow what others say and do; weak individuals who cannot discover and develop our own moral? The morality offered by Mormonism is not moral at all, nor is this true of any other religion that threatens its people with hell, damnation, or being a second-class Mormon if they disagree. Should a homosexual, a smoker, drinker or someone that swears necessarily be seen as a greater sinner than a church which illegally practiced polygamy in the 1800s, was officially racist between 1976-1978 ,until it offered equal opportunities to blacks, and quite happily accepts homosexuals into the church as long as they live a life of solitude, devoid of partnership and temporal happiness? This sense of selective and fear-driven morality is a lot less pure than the average person trying to make their way through life, growing and developing through making mistakes and learning what for them is moral. Does this mean that Mormonism and other religions do not have a beneficial role to play? Not at all. There is a positive societal aspect to religious institutions in that they do form cohesive, mutually supportive units within which people feel identified, protected and unified. However, a group morality is potentially dangerous because it can lead to fanaticism – as has been true of every major world religion – including Mormonism and the Mountain Meadows Massacre in which the so-called Nauvoo legion, comprised of Mormons, attacked and killed innocent civilians for their own gain. Ultimately, one should never stop questioning one’s own morality. A thinking, questioning and openly secular society is surely a better one than a puppet-like nation of willing followers who believe the absolutism of Mormonism, or any other divinely-led dictatorship. Rejecting individual thought, analysis and reason for subjugation to a religious regime that is inherently immoral is not an environment in which true morality can thrive.